The Speks put a blues slant on children's nursery rhyme “It’s Raining, It’s Pouring” because the old man is down on his luck. It’s pouring rain outside and he doesn’t want to get out of bed. To add insult to injury the poor fellow bumps his head! The musical links and instrumentals that “repeat the chants of sorrow” are played by banjo, fiddle and clarinet. The banjo playing sounds like the beginning of a heavy rain shower on a tin roof or drops of water falling into buckets from leaks in the ceiling. The fiddle and the clarinet add a mournful sound to this song. Click on the play arrow above to listen to our version of It's Raining It's Pouring set to Irish music for kids. 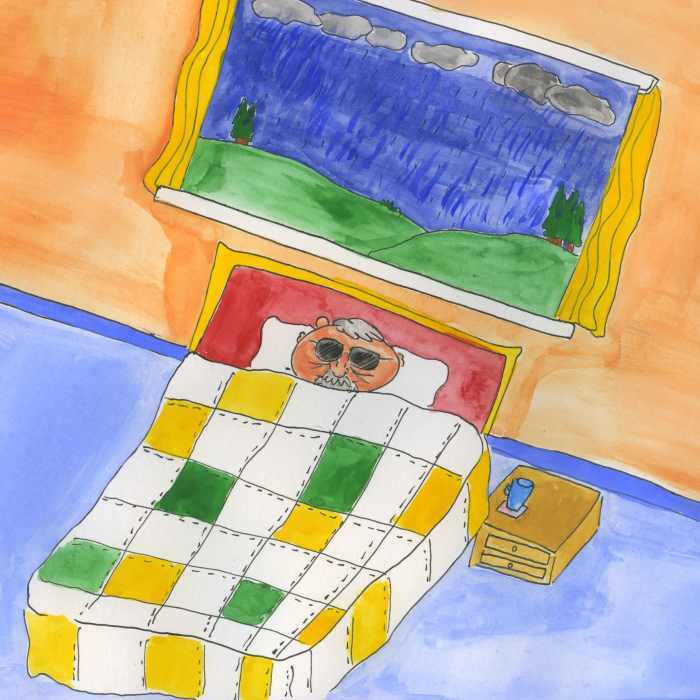 Go to our Old Man Blues page where you can share our nursery rhyme with your friends and/or buy the MP3 download. Click on the arrow below to watch our youtube video clip of "It's Raining It's Pouring"
Mathematics: Count the number of rainy days in the month. Represent this data on a bar chart. Which month had the most rainy days? Which month had the least? Art: Illustrate the elements of the water cycle: The sea, sun, clouds, wind, mountains and rain.